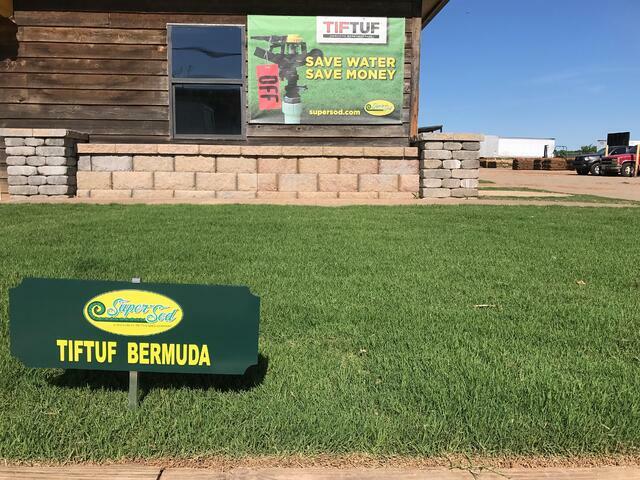 Providing the best turfgrass is a top priority, but it’s really about the people behind the sod. At the core is the smile you can practically hear on our end of the telephone, the well-worn hands from long hours of helping customers load pallets, the sun-burnt skin from seemingly endless summer days in the sod fields, the swelling heart when a family notes how much you’ve helped them in finding the perfect grass for their new lawn. 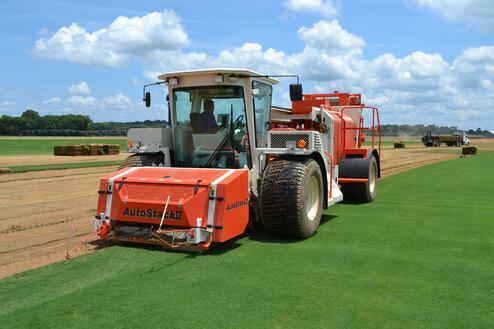 Esteban harvests Bermudagrass on a warm summer day at the farm in Cartersville, Georgia. It’s because of these people and their hearts that Super-Sod was named for the very first time as a 2018 Metro Atlanta Top Workplace by the Atlanta Journal Constitution on Sunday, March 4. This award is a particular honor because it’s determined not by customers, but by employees. Based on a survey taken by 78% of Atlanta-area Super-Sod employees, this is evidence of team members’ affection for the company and their work. 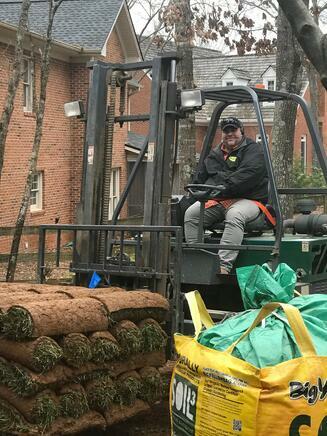 Chris, an Atlanta delivery driver, is all smiles while dropping off a load of Elite Tall Fescue. Ashley Holder in Marietta has worked for Super-Sod for the past 7 years and nominated her workplace for this award. 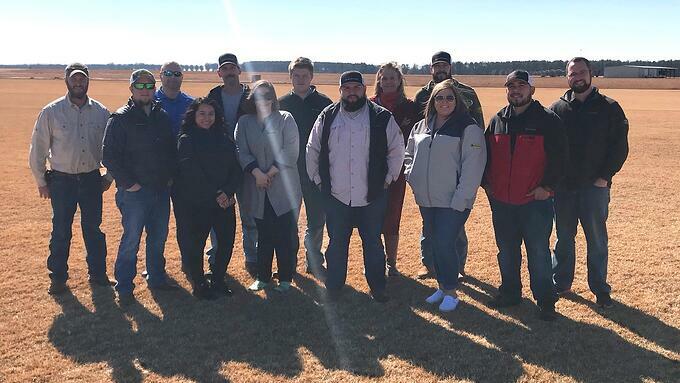 Half of the crew from the Atlanta stores visit the turfgrass farm and compost production facility in Middle Georgia. 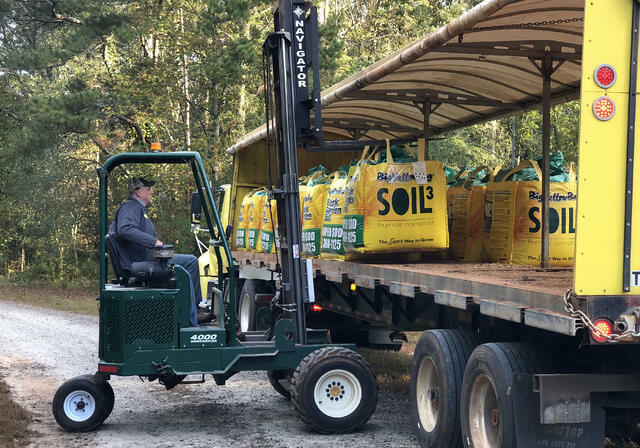 With four North Georgia store locations – all delivering sod from our Georgia farms in Cartersville and Fort Valley – team members in the Atlanta area perform a variety of jobs. From operating harvesters, to helping customers through the installation process, to navigating large trucks around small neighborhood roads, our team works tirelessly to ensure a great end product. 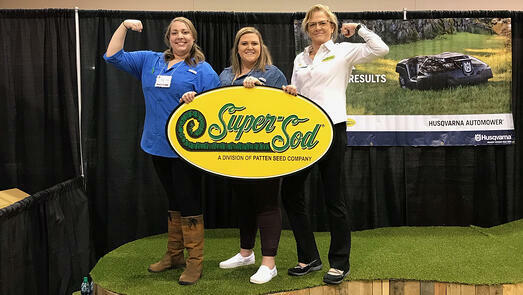 Jill, Lindsey, and Ross show off their Super-Sod pride at the Automower booth during the North Atlanta Home Show. It’s heartwarming to receive such a prestigious award from our own team. For the 2018 Top Workplace awards, 2,300 companies in the Atlanta area were nominated, while 55,000 Metro Atlanta workers participated in online surveys conducted by Philadelphia-based employee research and consulting firm Energage. 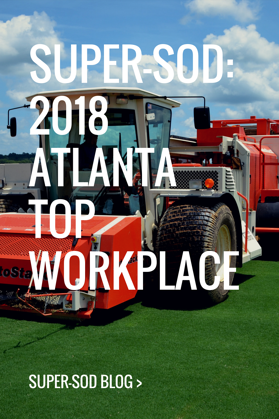 Super-Sod ranked 48th out of 75 small companies to earn a spot as one of Metro Atlanta’s best companies for which to work. 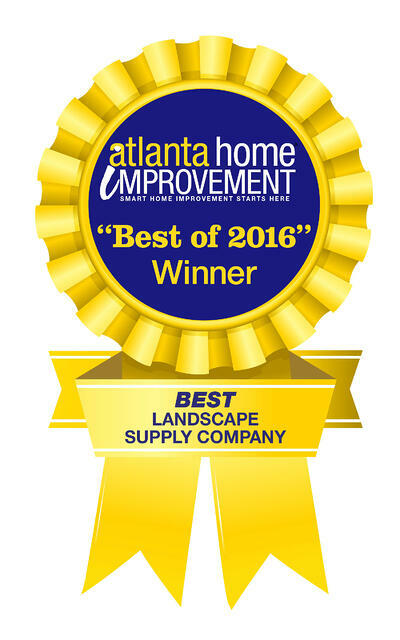 See the full list on AJC’s website. We’re proud to have employees who love this company and, in turn, help our customers do the same.